Five Things Friday: Upcycling to Create a Toy | Keeps Me Out Of Mischief! I hate waste and little B loves to create new things from odds and ends he’s found around the home. He’s got a wonderful imagination and I want to do all I can to encourage that. These ideas should inspire you to upcycle items that you might have found in your decluttering last week. 1. I love this dolls house created from a chest of drawers and shared on Hometalk. So simple, yet so effective. 2. Upcycle Us has this workbench – perfect for you little builder. 3. Craft Passion has these sock monkeys – my odd socks never look that nice! 4. 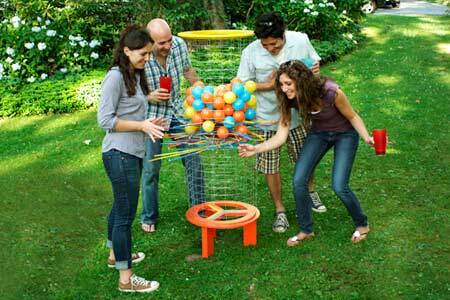 This Old House has a giant version of Kerplunk that you could use the contents of an old ball pool to fill. 5. 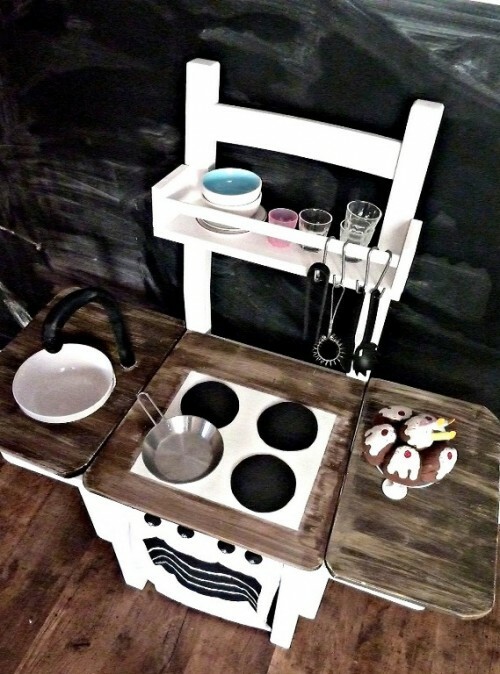 Shelterness shares this play kitchen made from an old dining chair.